Desert Island Discs is a radio programme broadcast on BBC Radio 4. It was first broadcast on the BBC Forces Programme on 29 January 1942. More than 3,000 episodes have been recorded, with some guests having appeared more than once and some episodes featuring more than one guest. An example of a guest who falls into both categories is Bob Monkhouse, who appeared with his co-writer Denis Goodwin on 12 December 1955 and in his own right on 20 December 1998. Guests are invited to imagine themselves cast away on a desert island, and choose eight recordings, originally gramophone records, to take with them; discussion of their choices permits a review of their life. Excerpts from their choices are played or, in the case of short pieces, the whole work. At the end of the programme they choose the one piece they regard most highly. 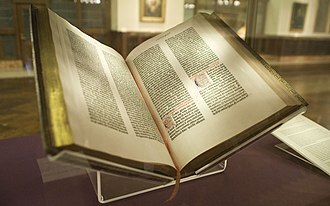 Guests are also automatically given the Complete Works of Shakespeare and either the Bible or another appropriate religious or philosophical work. They are then prompted to select a third book to accompany them. 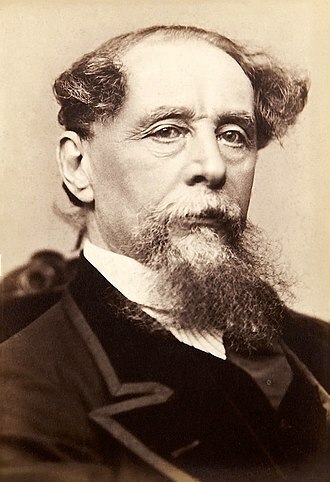 Popular choices include Charles Dickens and Jane Austen. Actress Judi Dench, who suffers from macular degeneration, was permitted to take an audiobook in place of a printed manuscript. After Plomley's death in 1985, the programme was presented by Michael Parkinson and from 1988 by Sue Lawley. Lawley stepped down in August 2006 after 18 years, her final castaway being actress Joan Plowright. She was replaced by Kirsty Young, who interviewed illustrator Quentin Blake for her first show, broadcast on 1 October 2006. On 30 August 2018, it was announced that Young was going on sick leave due to complications of fibromyalgia, and that 6 Music presenter Lauren Laverne would temporarily take over. The first castaway was Vic Oliver, and several castaways, including Celia Johnson, Arthur Askey, Trevor Nunn, John Schlesinger, Kenneth Williams, Terry Wogan, Brian Rix, David Attenborough and Adele Leigh have been cast away more than once. The most requested piece of music over the first 60 years was "Ode to Joy", the last movement of Beethoven's Ninth Symphony. One of the most remarked broadcasts was Elisabeth Schwarzkopf's 1958 selection of seven of her own recordings. This record was subsequently beaten by British pianist Dame Moura Lympany on her second appearance on the programme on 28 July 1979 when all eight of her selections were of her own recordings. In the early 1970s, Roy Plomley attempted to interview Alistair MacLean, but ended up speaking to somebody else with the same name – and the programme was never broadcast. In January 1981, HRH Princess Margaret, Countess of Snowdon, appeared as a castaway on the show. 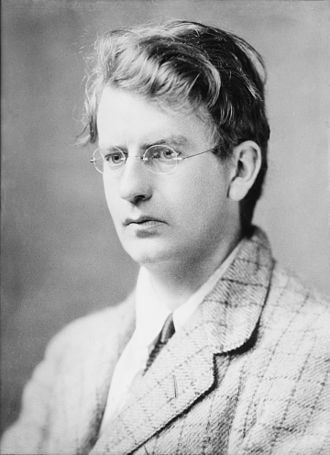 Plomley originally wanted the sounds of "surf breaking on a shore and the cries of sea birds" to open and close each programme. But Leslie Prowne, the head of popular record programmes at the BBC, was concerned that it lacked definition and insisted that music should also be used. Plomley and the series' producer Frederic Piffard selected "By the Sleepy Lagoon", composed by Eric Coates (who appeared on the show in 1951). The tune has been used since the first transmission in 1942. The sound of herring gulls has accompanied the music except for a period of time in 1964 when tropical bird sounds were used. 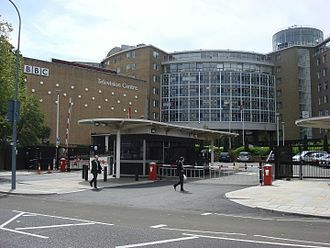 Until late September 2009, Desert Island Discs could not be heard on the BBC's iPlayer service, which allows most programmes to be heard up to a week after transmission. The programme's website stated that this was due to rights issues, as explained in The Sunday Times in 2006. It was announced on 27 September 2009 that an agreement had been reached as a result of which the programme would be available to stream via the iPlayer. 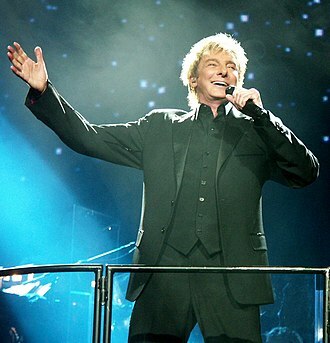 The first episode available through the iPlayer was with Barry Manilow. 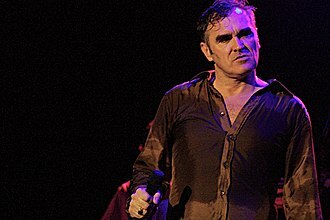 Subsequently, the programme was also made available as a podcast, beginning with the edition broadcast on 29 November 2009, which featured Morrissey. However, due to music clearance issues, the music selections on the podcast versions are reduced to only playing for around 30 seconds or so (and in rare instances are unavailable, as mentioned in an announcement made by Kirsty Young at the appropriate point of the programme). On 30 March 2011, the BBC placed more than 500 episodes from the show's archive online to listen to via iPlayer. Other episodes have since been added, both new and old. In the early years of the BBC, programmes were broadcast live and were generally not recorded. This, in addition to the BBC's policy of wiping that was applied during the 1950s and 1960s, means very few episodes from the first 20 years of the show are known to exist; the earliest episode still in existence is from 1951 and features actress Margaret Lockwood. Several extracts were preserved for posterity at the request of the guests, such as an extract featuring Alfred Hitchcock where he speaks about his films The Pleasure Garden (1925) and Rebecca (1940), gives his view on the changing landscape of the film industry and briefly discusses his then upcoming film Psycho (1960). ^ In August 2018, it was announced that Young would be on leave from the programme for "a number of months" due to health reasons. Lauren Laverne was chosen to present the programme in her absence. ^ a b "Kirsty Young to take time out from Desert Island Discs". BBC News. 30 August 2018. 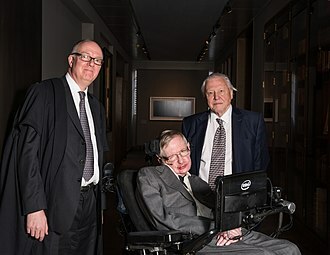 ^ Midgley, Neil (29 January 2012). "Desert Island Discs: Britain's longest-running radio show". The Telegraph. London. ^ "Desert Island Discs – Find a castaway". BBC Online. Retrieved 29 August 2014. ^ "Desert Island Discs – Find a castaway". BBC Online. Retrieved 18 April 2017. ^ "Desert Island Discs racks up a milestone of delights". The Daily Telegraph. Retrieved 2016-04-15. ^ "BBC Radio 4 – Desert Island Discs, Dame Judi Dench". Bbc.co.uk. 2015-09-25. Retrieved 2016-04-15. ^ a b c "Desert Island delights". BBC. 29 January 2002. Retrieved 15 November 2007. ^ "BBC Radio 4 – Desert Island Discs, HRH Princess Michael of Kent". Bbc.co.uk. 1984-02-03. Retrieved 2016-04-15. ^ Lister, David (30 January 2002). "'Desert Island Discs' enjoys luxury of a 60th birthday". The Independent. London. Retrieved 24 July 2009. 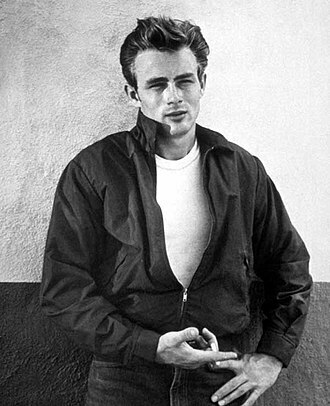 ^ "John Stevens". Desert Island Discs. 17 November 2006. BBC Radio 4. ^ "Shirley Williams". Desert Island Discs. 29 January 2006. BBC Radio 4. ^ "BBC Radio 4 – Desert Island Discs, Dame Joan Plowright". Bbc.co.uk. 2006-09-01. Retrieved 2016-04-15. ^ Roberts, Laura (2 March 2011). "Desert Island Discs' most popular requests". The Daily Telegraph. London. ^ "Elisabeth Schwarzkopf". Desert Island Discs. 28 July 1958. BBC Radio 4. ^ "Dame Moura Lympany". Desert Island Discs. 28 July 1979. BBC Radio 4. ^ Pile, Stephen. The Book of Heroic Failures (1980 ed.). Futura. pp. 29–30. ISBN 0-7088-1908-7. ^ "HRH Princess Margaret, Desert Island Discs - BBC Radio 4". BBC. Retrieved 2017-12-08. ^ Magee, Sean (13 September 2012). "Chapter 2:1940s". Desert Island Discs: 70 Years Of Castaways. Bantam Press. p. 8. ISBN 978-0-593-07006-2. ^ "Desert Island Discs – Home". BBC. Retrieved 2014-07-28. ^ Bremner, Charles (2 July 2006). "How a man in his pyjamas invented a radio classic". The Sunday Times. London. Retrieved 25 February 2011. ^ Mark Damazer (27 September 2009). "BBC – Radio 4 Blog: Desert Island Discs comes to iPlayer". BBC. Retrieved 27 September 2009. 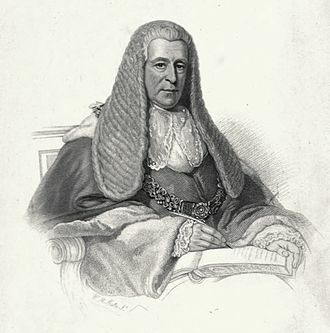 ^ Plunkett, John (28 September 2009). "BBC launches Radio 4's Desert Island Discs on iPlayer". The Guardian. London. Retrieved 28 September 2009. ^ "Desert Island Discs: 70 years of castaways". Amazon. 13 September 2012. ^ "Desert Island Discs: Flotsam & Jetsam". Amazon. 25 October 2012. Dame Judith Olivia Dench CH DBE FRSA, known as Judi Dench, is an English actress and author. Dench made her debut in 1957 with the Old Vic Company. Over the following few years she performed in several of Shakespeares plays in such roles as Ophelia in Hamlet, Juliet in Romeo and Juliet and Lady Macbeth in Macbeth. Although most of her work during this period was in theatre, she branched into film work. She drew strong reviews for her role in the musical Cabaret in 1968. Over the next two decades, Dench established herself as one of the most significant British theatre performers, working for the National Theatre Company and the Royal Shakespeare Company. She achieved success in television during this period, in the series A Fine Romance from 1981 until 1984 and she has received the BAFTA Fellowship and the Special Olivier Award. 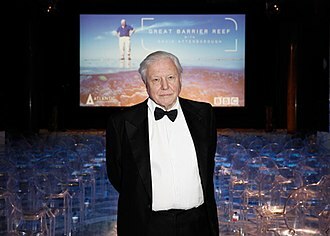 In June 2011, she received a fellowship from the British Film Institute, Dench is a Fellow of the Royal Society of Arts. Dench was born in Heworth, North Riding of Yorkshire and her mother, Eleanora Olive, was born in Dublin, Ireland. 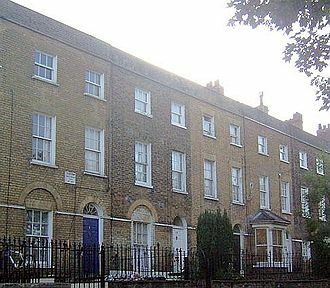 Her father, Reginald Arthur Dench, a doctor, was born in Dorset and moved to Dublin and he met Denchs mother while he was studying medicine at Trinity College, Dublin. 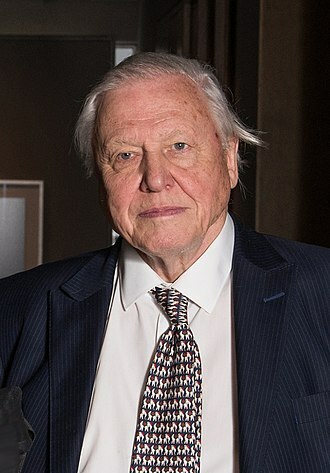 Dench attended The Mount School, a Quaker independent secondary school in York and her brothers, one of whom was actor Jeffery Dench, were born in Tyldesley, Lancashire. Her niece, Emma Dench, is a Roman historian and professor previously at Birkbeck, University of London, and currently at Harvard University. In Britain, Dench has developed a reputation as one of the greatest actresses of the period, primarily through her work in theatre. She has more than once been named one in polls for Britains best actor. Through her parents, Dench had regular contact with the theatre and her father, a physician, was the GP for the York theatre, and her mother was its wardrobe mistress. Actors often stayed in the Dench household, during these years, Judi Dench was involved on a non-professional basis in the first three productions of the modern revival of the York Mystery Plays in the 1950s. John Marwood Cleese is an English actor, voice actor, screenwriter and comedian. He achieved success at the Edinburgh Festival Fringe and as a scriptwriter and performer on The Frost Report. In the mid-1970s, Cleese and his first wife, Connie Booth, co-wrote and starred in the British sitcom Fawlty Towers, with Cleese receiving the 1980 BAFTA for Best Entertainment Performance. Later, he co-starred with Kevin Kline, Jamie Lee Curtis and he starred in Clockwise and has appeared in many other films, including two James Bond films as R and Q, two Harry Potter films, and the last three Shrek films. With Yes Minister writer Antony Jay, he co-founded Video Arts, in 1976, Cleese co-founded The Secret Policemans Ball benefit shows to raise funds for the human rights organisation Amnesty International. Cleese was born in Weston-super-Mare, the child of Reginald Francis Cleese, an insurance salesman. His familys surname was originally Cheese, but his father had thought it was embarrassing, as a child, Cleese supported Bristol City FC and Somerset County Cricket Club. Cleese was educated at St Peters Preparatory School, where he received a prize for English and did well at cricket, when he was 13, he was awarded an exhibition at Clifton College, an English public school in Bristol. He was already more than 6 feet tall by then, Cleese allegedly defaced the school grounds, as a prank, by painting footprints to suggest that the statue of Field Marshal Earl Haig had got down from his plinth and gone to the toilet. Cleese played cricket in the First XI and did well academically, passing 8 O-Levels and 3 A-Levels in mathematics, physics, I believe that this moment changed my perspective on the world. He took up a place he had won at Downing College, Cambridge and he joined the Cambridge Footlights. He recalled that he went to the Cambridge Guildhall, where each university society had a stall and he replied no as he was not allowed to sing at his school because he was so bad, and if there was anything worse than his singing, it was his dancing. He was asked Well, what do you do, to which he replied, I make people laugh. Lauren Cecilia Fisher, known professionally as Lauren Laverne, is an English radio DJ, television presenter, author and comedian. Laverne has written a novel entitled Candypop and the Broken Biscuits. Laverne was born and brought up in Sunderland in a large family, One grandfather had been a shipbuilder, another a coalminer. Her father was a lecturer at Newcastle University, Dr Lesley Gofton. She first attended St. Marys R. C, primary School in 1982, where she befriended Marie Nixon, to become a fellow Kenickie guitarist, and St. Anthonys Girls School between 1989 and 1994, where she and Nixon met Emma Jackson. Laverne went on to study at City of Sunderland College from 1994 to 1996, in all, Kenickie achieved four top 40 hits and a top ten album. She was working on an album at this time. She subsequently provided guest vocals on the Divine Comedys 2004 single Come Home Billy Bird, Lavernes first television presenting job was Play UKs series The Alphabet Show, with Chris Addison, made while Kenickie were still together. She presented a documentary for Sky One on the rise of popularity of the US hit TV Show Buffy the Vampire Slayer, called Buffy and this was done when the show was returning for its sixth season in 2001. In 2003 Lauren was a team captain, along with Jason Byrne. In 2004 she was a regular guest on the quiz show HeadJam, the show finished in April 2006. in April 2006, she appeared as guest host of Never Mind the Buzzcocks. In August, Laverne presented Channel 4s coverage of the V Festival, in March 2007, she presented the NME Awards live from the Hammersmith Palais. In July 2007, Laverne appeared on the comedy show Mock the Week. She appeared on Never Mind the Buzzcocks on 10 January 2008, in September 2008, Laverne appeared again on Mock the Week. In March 2008, Laverne appeared on the Lily Allen and Friends show with fellow Sunderland musicians the Futureheads, from 2006 to 2010, she was a regular presenter with the weekly BBC arts magazine programme The Culture Show, alongside Mark Kermode. She presented the series of the late-night Channel 4 music show Transmission with T-Mobile opposite Steve Jones. A desert island, deserted island or uninhabited island is an island that is not permanently populated by humans. Uninhabited islands are used in movies or stories about shipwrecked people. Some uninhabited islands are protected as reserves and some are privately owned. Devon Island in Canada is claimed to be the largest uninhabited island in the world, small coral atolls or islands usually have no source of fresh water, but at times a fresh water lens can be reached with a well. Uninhabited islands are called deserted islands or desert islands. In the latter, the adjective desert connotes not desert climate conditions, the word desert has been formerly applied more widely to any wild, uninhabited region, including forest-land, and it is this archaic meaning that appears in the phrase desert island. Similarly, the deserted island does not imply that the island was previously inhabited. The term desert island is commonly used figuratively to refer to objects or behavior in conditions of social isolation. Behavior on an island is a common thought experiment, for example. Appat Island, Greenland Kermadec Islands in the South Pacific, part of New Zealand Astola Island, Baluchistan Devon Island,55,247 km2, many small islands off the coast of Greece A majority of islands in the Barra Isles archipelago. The most famous of abandoned islands is located at the southernmost point of the outer Hebrides. The protagonists in both are children living in seclusion on a deserted island, until they eventually come in contact with castaways from the outside world who are stranded on the island. 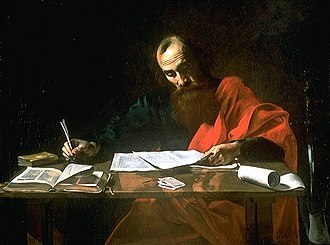 The story of Theologus Autodidactus, extends beyond the island setting when the castaways take Kamil back to civilization with them. William Shakespeares 1610–11 play, The Tempest, uses the idea of being stranded on an island as a pretext for the action of the play. In the late 17th century, Philosophus Autodidactus inspired Robert Boyle, Ibn al-Nafis Theologus Autodidactus was eventually translated into English in the early 20th century. 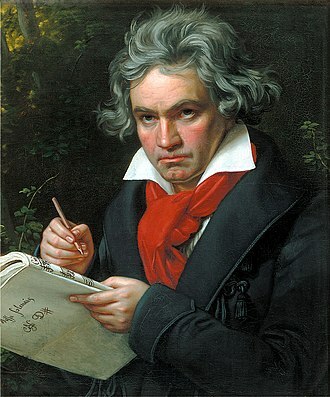 The Symphony No.9 in D minor, Op.125, is Ludwig van Beethovens final complete symphony. Completed in 1824, the symphony is one of the works in classical music. It is almost universally considered by critics to be one of Beethovens greatest works, the symphony was the first example of a major composer using voices in a symphony. 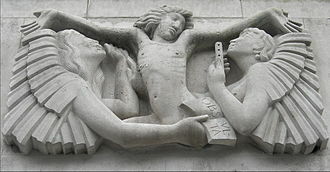 The words are sung during the movement by four vocal soloists. They were taken from the Ode to Joy, a written by Friedrich Schiller in 1785 and revised in 1803. In the 2010s, it stands as one of the most performed symphonies in the world, the Philharmonic Society of London originally commissioned the symphony in 1817. The main composition work was done between autumn 1822 and the completion of the autograph in February 1824, the symphony emerged from other pieces by Beethoven that, while completed works in their own right, are in some sense musical sketches for the future symphony. 80, basically a concerto movement, brings in a choir. As in the Ninth Symphony, the vocal forces sing a theme first played instrumentally, going further back, an earlier version of the Choral Fantasy theme is found in the song Gegenliebe, for piano and high voice, which dates from before 1795. According to Robert W. Gutman, Mozarts K.222 Offertory in D minor, Misericordias Domini, written in 1775, contains a melody that foreshadows Ode to Joy. When his friends and financiers heard this, they urged him to premiere the symphony in Vienna in the form of a signed by a number of prominent Viennese music patrons. This was the composers first on-stage appearance in 12 years, the hall was packed with an eager audience, while no complete list of premiere performers exists, many of Viennas most elite performers are known to have participated. The soprano and alto parts were sung by two young singers, Henriette Sontag and Caroline Unger. German soprano Henriette Sontag was eighteen years old when Beethoven personally recruited her to perform in the premiere of the Ninth, personally recruited by Beethoven, 20-year-old contralto Caroline Unger, a native of Vienna, had gained critical praise in 1821 appearing in Rossinis Tancredi. After performing in Beethovens 1824 premiere, Unger found fame in Italy, Italian composers Donizetti and Bellini were known to have written roles specifically for her voice. Joan Ann Plowright, Baroness Olivier, DBE, commonly known as Dame Joan Plowright, is an English retired actress whose career has spanned over six decades. She has won two Golden Globe Awards and a Tony Award and has been nominated for an Academy Award and she is one of only four actresses to have won two Golden Globes in the same year. Plowright was born in Brigg, the daughter of Daisy Margaret and William Ernest Plowright and she attended Scunthorpe Grammar School and trained at the Bristol Old Vic Theatre School. Plowright made her debut at Croydon in 1948 and her London debut in 1954. In 1956 she joined the English Stage Company at the Royal Court Theatre and was cast as Margery Pinchwife in The Country Wife and she appeared with George Devine in the Eugène Ionesco play, The Chairs, Shaws Major Barbara and Saint Joan. She continued to appear on stage and in such as The Entertainer. In 1961, she received a Tony Award for her role in A Taste of Honey on Broadway, through her marriage to Laurence Olivier, she became closely associated with his work at the National Theatre from 1963 onwards. She was Nanny in 101 Dalmatians, among her television roles, she won another Golden Globe Award and earned an Emmy Award nomination for the HBO film Stalin in 1992 as the Soviet dictators mother-in-law. In 1994, she was awarded the Women in Film Crystal Award, in 2003, Plowright performed in the stage production Absolutely. She was appointed president of the English Stage Company in March 2009, succeeding John Mortimer. She was previously vice-president of the company, Plowright was appointed a Commander of the Order of the British Empire in the 1970 Queens New Year Honours and was promoted to Dame Commander in the 2004 Queens New Year Honours. In 2014, she announced her retirement from acting, citing her declining eyesight due to macular degeneration. Plowright was first married to Roger Gage, an actor, in September 1953 and she divorced him and, in 1961, married Laurence Olivier after the ending of his 20-year marriage with the actress Vivien Leigh. 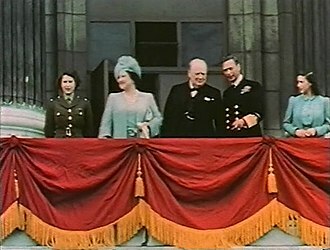 The couple had three children, Richard Kerr, Tamsin Agnes Margaret and Julie-Kate, the couple remained married until Lord Oliviers death in 1989. Dame Moura Lympany DBE was an English concert pianist. She was born as Mary Gertrude Johnstone at Saltash and her father was an army officer who had served in World War I and her mother originally taught her the piano. Mary was sent to a convent school in Belgium, where her talent was encouraged. She went on to study in Vienna with Paul Weingarten, and in London with Mathilde Verne, in 1935, she made her London debut at the Wigmore Hall, and in 1938 she came second to Emil Gilels in the Ysaÿe Piano Competition in Brussels. By the Second World War, she was one of the UKs most popular pianists, on 13 April 1940 she gave the British premiere of Khachaturians Piano Concerto in D-flat, one of the pieces most closely associated with her. She had been approached when Clifford Curzon pleaded he would not be able to learn it in time, on 25 February 1945, with Adrian Boult, Lympany was the first British musician to perform in Paris after the Liberation. She performed Alan Rawsthornes Piano Concerto No 1 and the Khachaturian Piano Concerto with Boult conducting the orchestra of the Conservatoire de Paris, in 1944 she married Colin Defries,32 years her senior, but they divorced in 1950. In 1951 she married Bennet Korn, an American television executive, Lympany very much wanted to start a family but she had two miscarriages, and a son who died shortly after birth. She and Bennet Korn divorced in 1961, some years she became a close friend of the British Prime Minister and amateur musician Edward Heath, mutual friends expressed hopes that they might marry, but this did not happen. After the war she became widely known, performing throughout Europe and in the USA, Australia, New Zealand. When living in New York, Lympany continued her concert and recording career, Lympany was a Steinway pianist and participated in the Steinway Centenary Concert on 19 October 1953 in which ten Steinway pianists played a Polonaise by Chopin. The rehearsal of this piece was recorded and broadcast on Ed Sullivans television show, Lympany gave a recital at Carnegie Hall on November 20,1957, for which tickets sold for 75c to $1.50. Last night Moura Lympany gave evidence of possessing qualities which place her high among her historic colleagues, in 1969 Lympany was diagnosed with breast cancer and her left breast was removed. Bandleader Harry James in 1943. James had released a hit version of "Sleepy Lagoon" in April 1942, which reached No. 1 in the Billboard charts. Robinson Crusoe (1719) by Daniel Defoe. Illustration of Crusoe standing over Man Friday after freeing him from the cannibals. Chiltern Court, Baker Street, Coates's London home 1930–1936. A blue plaque by the door commemorates him.